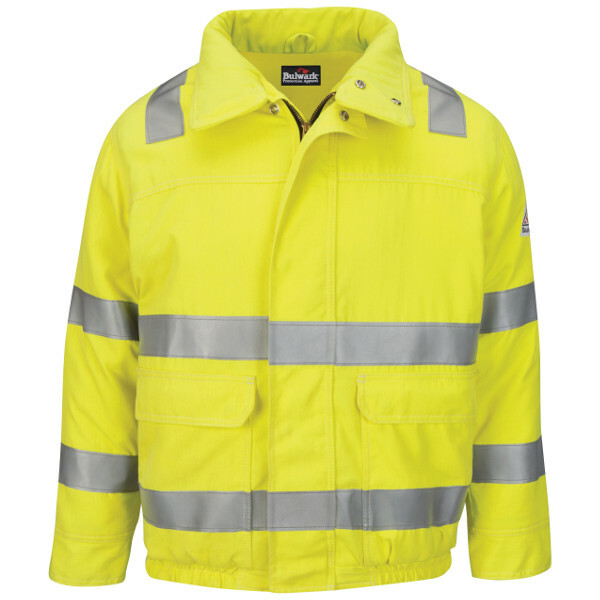 Shell: Flame-resistant, 7 oz. (235 g/m�) 48% Modacrylic / 37% Lyocell / 15% Aramid, Water-Repellent. 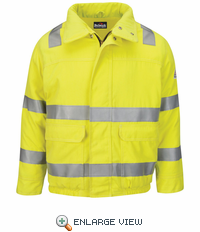 Lining: Flame-resistant, 7 oz. (235 g/m�) 48% Modacrylic / 37% Lyocell / 15% Aramid. Available Sizes: S-3XL and tall L-XXL. 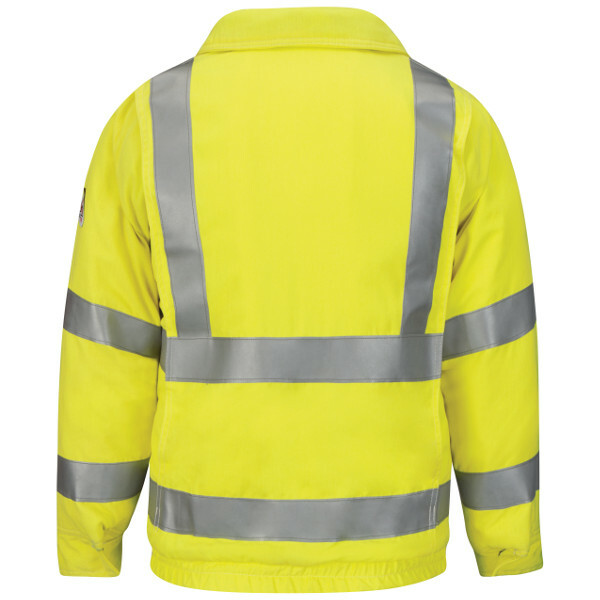 360� visibility with front and back 2" silver reflective striping � DWR Durable Water Repellent finish � Separating, heavy-duty, Nomex� taped brass zipper, fully covered with two layer storm flap, concealed snap closure � Two-layer stand-up collar � Two-layer concealed snap cuff � Two large external patch pockets, with concealed snap secured flaps with hand warmers � One inside chest pocket � Deep-pleated action back � Fully-tunneled elasticized waistband � Inside zipper guards on all zippers � Accommodates snap-on hood HMH2, sold separately � Accommodates snap-in liners LNL2, LML6, LNS2, LLL2 and LMS6, sold separately.